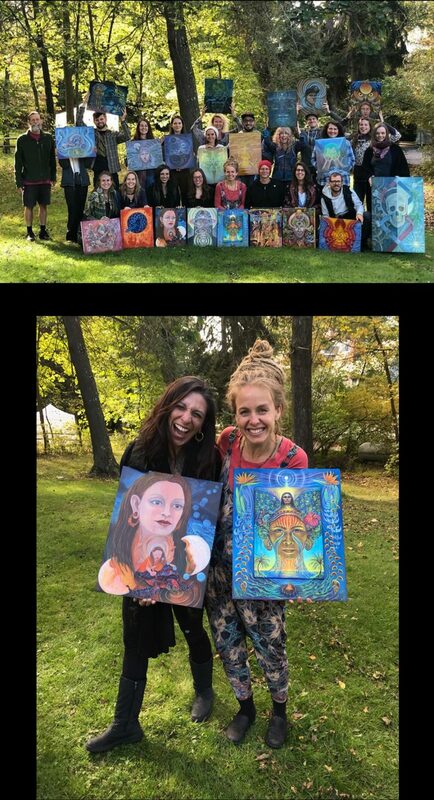 I feel so grateful to have spent a week at COSM Chapel of Sacred Mirrors with Amanda Sage and Joe Bob Merritt filled with inspiration, and creativity. The layers revealed during the Painting with Light workshop within myself and with other amazing humans expanded my heart and soul and stoked the fire to share my experiences through paint. The above picture is the start of a self portrait that unveiled many truths of my story presented to me in imagery. Stay tuned for more work with paint!